NEW DELHI: Just a day after the Election Commission announced that polls in Tamil Nadu’s Vellore Lok Sabha constituency has been deferred, DMK candidate Kathir Anand wrote a letter to the poll panel accusing it of taking orders from the BJP to help BJP-AIADMK alliance candidate. Anand also hit out at the I-T department for allegedly detaining him illegally for three days without a warrant. The DMK leader added that he was also not allowed to campaign by the I-T department during the raid. “There was no warrant during the entry and I was illegally detained for about three days during the search by I-T department preventing me from campaigning… to help BJP-AIADMK combine candidate AC Shanmugam and also to damage the prospects of my victory,” Anand was quoted as saying by ANI. President Ram Nath Kovind on Tuesday cancelled voting in Vellore Lok Sabha constituency after the EC recommended the same following the seizures of large amounts of unaccounted cash from Vellore. Anand also accused AC Shanmugam and AIADMK workers of being engaged in large scale cash distribution. Terming the I-T raids at his mother’s residence and a college of which he was a managing trustee as illegal, Anand claimed that these raids were conducted on the orders of BJP. 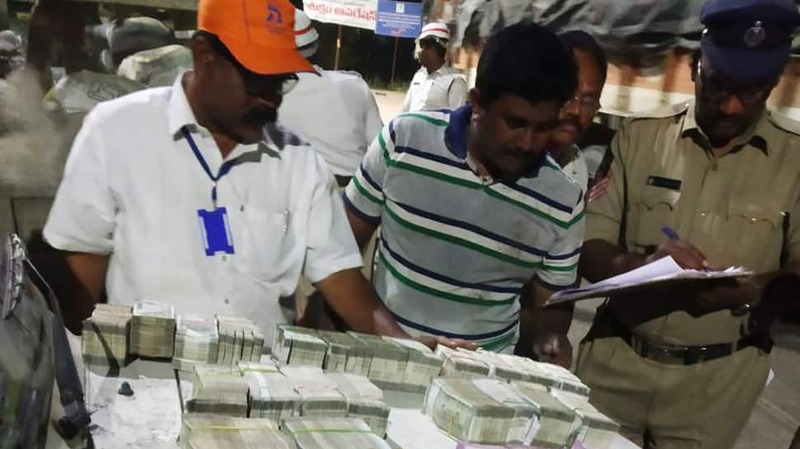 “The raids are highly motivated, preplanned to enable the Department to provide a false, misleading report to Election Commission to damage my election prospects and to stop the elections in the 8-Vellore Parliamentary constituency,” he stated. Anand also urged the EC to take back its decision of cancelling the poll in Vellore and added that if the poll panel fails to hold election on time then he will approach the court. Vellore was scheduled to go to polls in the second phase on Thursday along with 38 other Parliamentary constituencies in Tamil Nadu.